Currently a Vice Chair at Deloitte. Peter has more than 34 years of experience providing business consulting services to large and complex multinational corporations. He began his career with Arthur Andersen in 1982 and became a partner in 1991. Peter held a number of senior roles with Andersen including Canadian Tax Managing Partner; Global Managing Partner, International Tax; Global Managing Partner, Tax & Legal Solutions. While with Deloitte he has held the roles of Global Service Line Leader, International Tax and Canadian International Tax Leader. 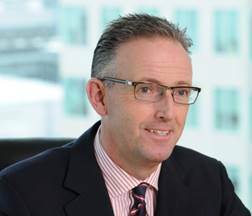 Peter returned to Deloitte after spending two years at Magna International as an Executive Vice-President responsible for Tax, Treasury, Risk Management and Central Services. Peter has served on numerous boards including the Toronto General & Western Hospital Foundation, York University Alumni, Andersen Worldwide and Triathlon Canada. He is a graduate of York University (BBA, 1982) and a CPA, CA.